Ahem! Excuse me, but where March go?! On the eve of April, many of us on the East Coast are about to wave goodbye to daylight saving and lovingly welcome that extra hour we gain by winding back our clocks tonight. I love daylight saving and only wish we had it all year round. The end of March signals the start of darker, cooler and often wetter mornings and evenings. However, the excitement of Easter next week makes short work of any of that. Easter is such an exciting time of year, with chocolate eggs EVERYWHERE!, a long weekend, family lunches and dinners and many more Easter treats - I love it! I'm a real sucker for festivities and family shared holidays. 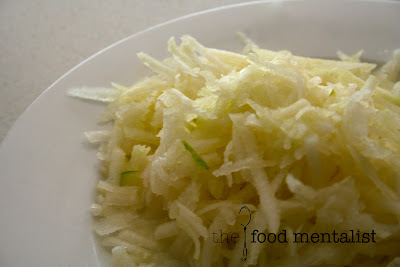 Now before I get ahead of myself, did you know that March is Australian Pear Month? A month celebrating everything we love about Australian pears. Many food bloggers across the country have been furiously preparing pear dishes to help launch a campaign that poses the question: What can you pair with a Pear? My answer: More pears of course! This time in the form of Australian Pear Cider. Check out these delicious, fluffy and pear-y muffins I whipped up today. 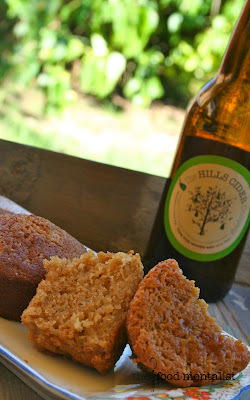 I have been wanting to cook with cider for the longest time now and am hoping to include many more cider recipes in the months to come. Later next month, Pete and I will be heading interstate and learning how to make cider. I can't wait! 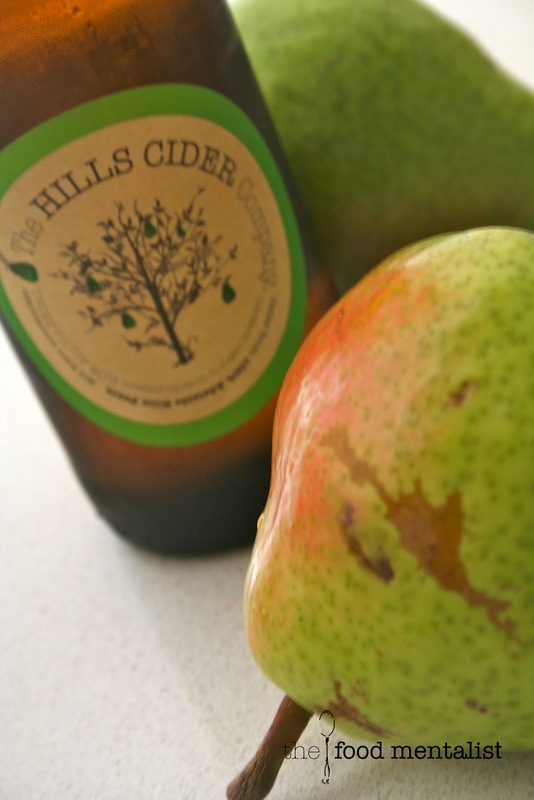 * The Food Mentalist used The Hills Cider Company Pear Cider from the Adelaide Hills in South Australia - To find out more about this cider tune in tomorrow for a Cider Sunday review. preheat oven to 180'C and grease muffin tin or fill with liners if you choose. In a medium bowl, whisk together the butter, brown sugar and caster sugar. Add eggs and whisk to combine. In a second bowl, combine flour, almond meal, salt, baking soda and cinnamon and set aside.Whisk pear cider, sour cream and vanilla together in a third bowl. 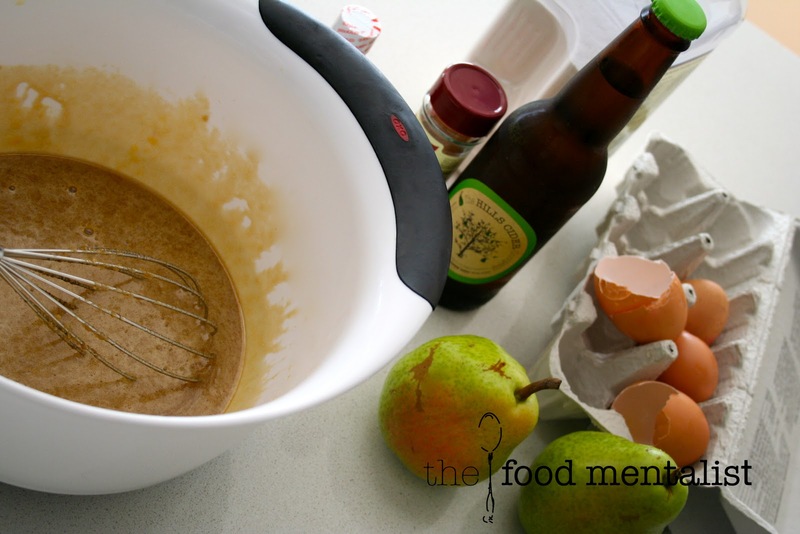 Next, fold in one third of the flour mixture and one third of the cider mixture into the sugar mixture and repeat until all combined. Fold in the grated pear and then spoon mixture into your prepared muffin tin. 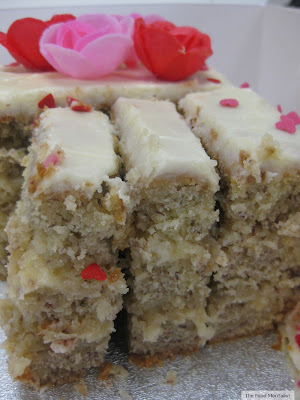 Sprinkle with demerara sugar and bake in oven for approximately 20-25 minutes until cooked through. If you are unsure, insert a cake skewer into one of the muffins to make sure they are cooked through. Cool in tin on a wire rack for 10 minutes before turning out to finish cooling. 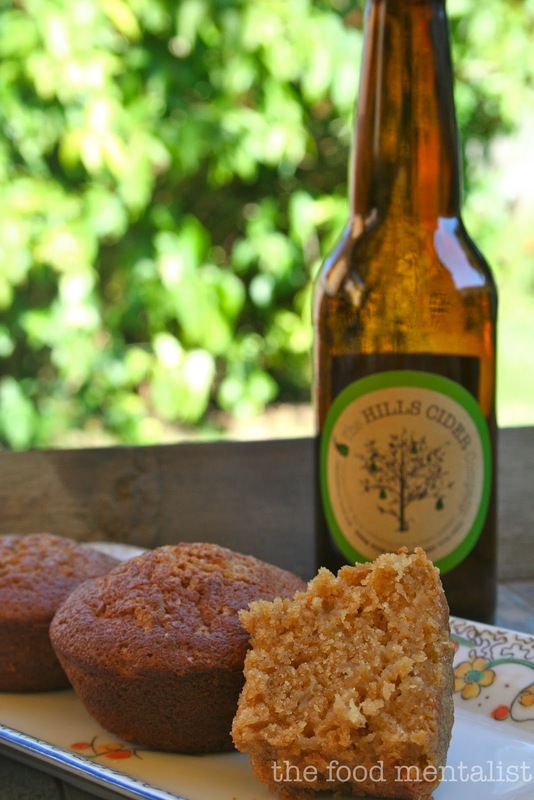 These muffins taste best the next day, particularly with a nice refreshing glass of cider. Tell me, Do you enjoy this time of year? Do you have any exciting plans for the Easter holiday? 'Peary' nice Erin! Love it. What a great idea! I'll need to get a few more ingredients then I can try this one. yum definitely trying this one! Awhh yeah, boozy baking! I love that you've baked with a local cider, too. These look great! Oh wow, what a fantastic idea, love this!! Going to have to give these a go.